Hope all goes well. We are writing to share with you updates on the ongoing discussion on the Global Compact for Safe, Orderly and Regular Migration. We apologize in advance for this lengthy message given there have been a lot of discussion and progress concerning the Global Compact for Migration. 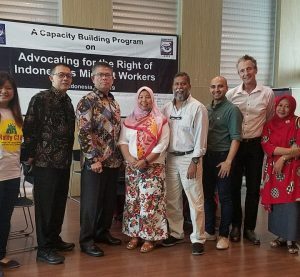 Given the importance of the issue we believe that it is crucial for migrants rights groups to be engaged in this process as it will impact global and local policies on migration. framework for comprehensive international cooperation. The global compact on migration and the global compact on refugees will be adopted at an international conference in 2018. Please find attached the results of the 19 September Discussions. 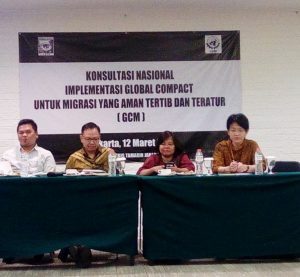 As some of you may know, the global compact was discussed in the 2016 GFMD, the GFMD Civil Society Days, Asia Civil Society Day (ACSD) and the Peoples Global Action on Migration Development and Human Rights (PGA) under the thematic Governance of Migration. We are sharing with you as attachment the report of the GFMD 2016 Chair highlighting the role of the GFMD in the development of the Global Compact. We are also sharing with you the report of the Chair of the GFMD CSD chairperson which also discusses the global compact on migration. During Phase 2, the inputs from the previous processes will be presented, discussed and analyzed. Discussion on potential means of implementation, as well as follow up and review mechanisms will be tackled. Phase 3 revolves on intergovernmental negotiations on what goes into the compact considering all inputs from phase 1 and 2. The draft modalities specifies participation of civil society organizations however, it also states that CSOs with UN ECOSOC accreditation will be invited. The UN Secretary General is General requested to draw up a list of other relevant representatives of relevant non-governmental organizations, civil society organizations, to be submitted to Member States for their consideration on a non-objection basis. We find this provision contentious as it limits the participation CSOs and subjected to members states approval. As we receive more information on the progress of the discussions we will be sharing them with all of you. Thank you.